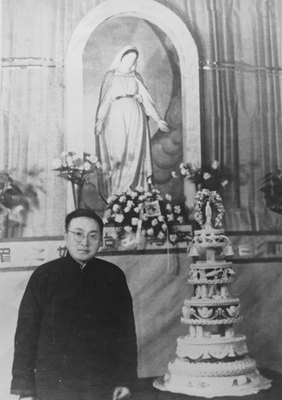 Taken at Father Jin Luxian's birthday party. Shanghai. B/W Photo. China Province Jesuit Collection.